I'm surprised to even be making this announcement, but I'm also really excited! 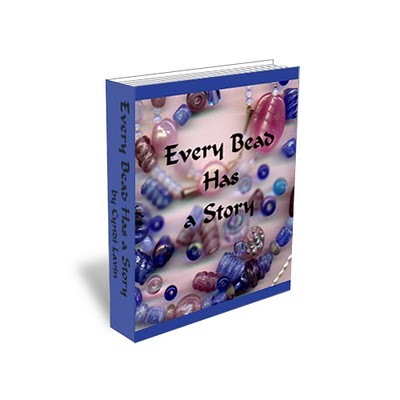 It turns out that Every Bead Has a Story, my e-book, wasn't finished after all. Nope. It has one last chapter which I've just finished writing! As you'll probably recall, Chapter One, which covers all the basics and introduces you to some fun bead embroidery projects, is a free download. Just visit the link above and snag your own copy if you don't already have one. 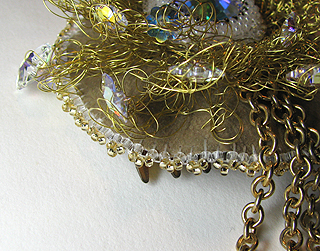 The subsequent chapters covered altered surfaces for bead embroidery, dimensional embroidery, and using found objects and unusual materials. I seriously thought I was done, but apparently not. My final chapter (this time I'm pretty sure of it! ), Chapter Five, is entitled Fibers, Fabrics, and Beads. 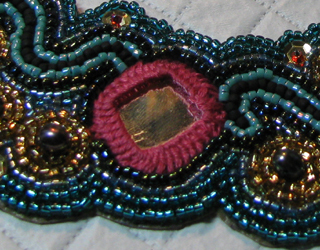 In the 75 pages, I share techniques and four projects which will challenge you to integrate all the fiber arts that you love with your bead embroidery. You'll explore cross-stitch with beads, adding shisha mirrors to your beadwork, beaded wire crochet, using ribbons, cords, and lace, more needle felting, traditional thread embroidery, and more...all integrated with the bead embroidery that we've been enjoying so much through the last four chapters! 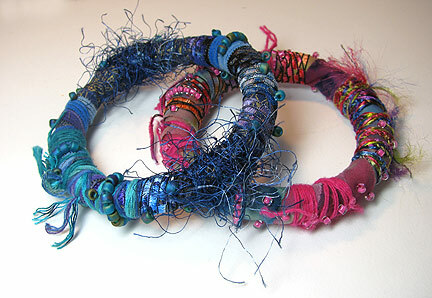 I'm hoping that Fibers, Fabrics, and Beads will be ready to launch next week. In the meantime, here are a few images of techniques and projects that will be included. I love it! Can't wait!